There's a new sport that's part tennis, part ping-pong and a whole lot of fun. 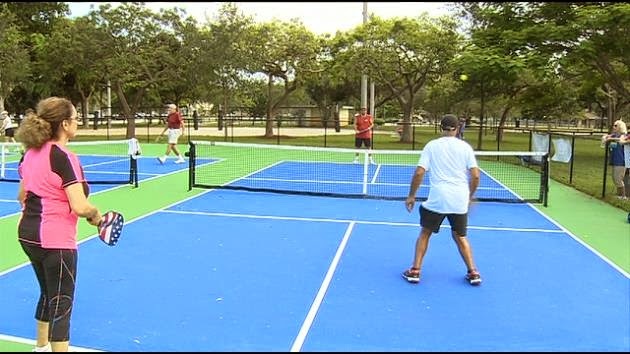 It's called pickleball, and it's a real hit in South Florida. Deco's Donovan Campbell got himself in a real pickle and took a swing at the story. Jennifer Arocha: "I thought it was a weird sport, and it had a really weird name." Regardless of the name, the pickle ball craze is here to stay.